The latest in EDM news, right on your desktop. 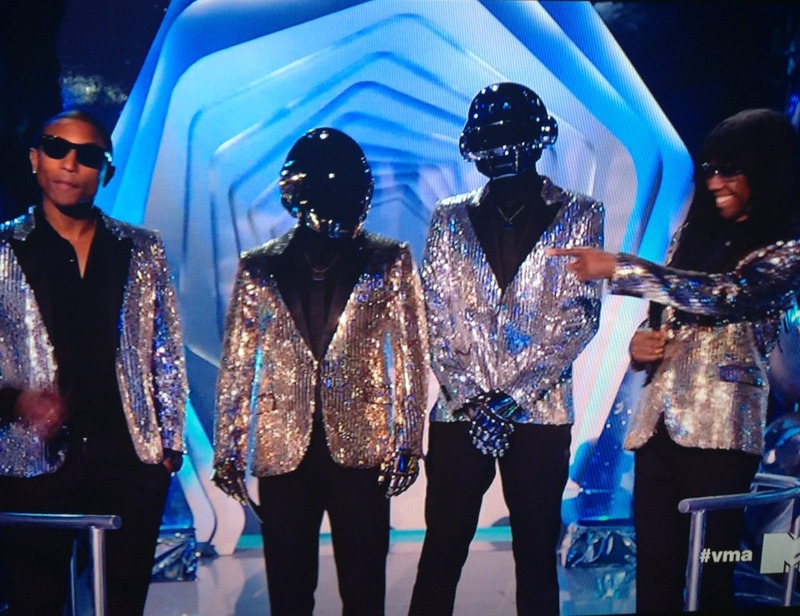 Daft Punk’s much hyped appearance in the VMA’s was a brief appearance of the french dance superstars, leaving many fans equally dazed as they were disappointed. After the Stephen Colbert publicity stunt, every one expected more than just an award presentation alongside Nile Rogers and Pharrell Williams to highly maligned “country” music star Taylor Swift. We can all admit that for this one time we all held our collective breaths waiting for Kanye West to interrupt, but I digress. 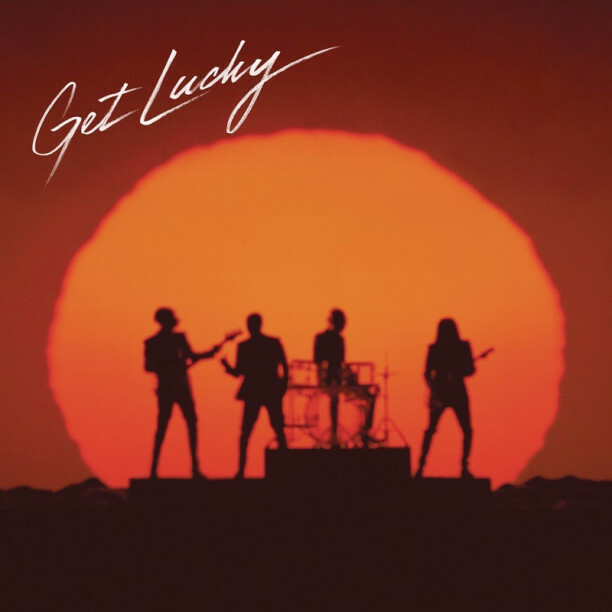 Daft Punk have taken over the world with their single “Get Lucky” and fourth studio album Random Access Memories, so seeing them not get the VMA for the summer anthem was a huge disappointment to say the least. Was this teaser really worth breaking our hearts TWICE and crushing out dreams of seeing the robots play on live television. Again, this is typical Daft Punk. THIS is the way to create infamy and legendary status. HOWEVER they did premiere their music video for “Lose Yourself To Dance”. Enjoy the TV spot on the link below the promo pic, soon enjoy it on youtube! This stunt further proves that Daft Punk always never fails at creating mystique and giving fans something to speculate over. Puerto Rico!!! Get ready for the return of the most refreshing day party of the summer! With 12+ hours of non-stop party and music, this is defenitely the party to NOT miss this season. Also there will be fashion shows presented by Volcom, Stance and Electric of the hottest summer fashion and beach wear. But of course the biggest attraction is you! You create the amazing tropical vibe that will make this party the trendiest of the summer, with the most beautiful and trendiest people of the island. 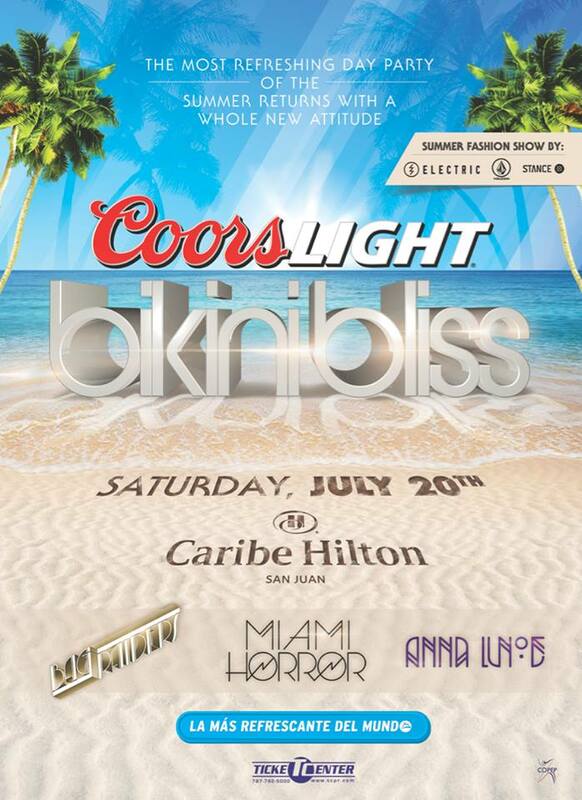 One of the top 5 DJs in the world, Afrojack, is making his triumphant return to Puerto Rico on Saturday, June 29th. Afrojack visits the island on his international “Jacked Tour” where he will be performing, with opening acts Apster and Leroy Styles, on the third floor of San Juan’s convention center. This indoors event promises to be one of the biggest, most lavish, indoor EDM events to even his the island. With the convention center’s “State of The Art Facility” we can bring you the best looking and sounding event possible, and open up a new VIP section. Afrojack is undoubtedly one of the most recognized faces in EDM today, and his “Jacked Tour” is looking to break new ground on the Puerto Rican EDM scene. But you better get your tickets fast, only 8,000 beautiful people will get in! Includes shorter & exclusive lines, private bathrooms and bar, prefered view and (1) free beer. The Creators Project is a global celebration of art and technology. Founded by a revolutionary partnership between Intel and VICE, The Creators Project celebrates visionary artists across multiple disciplines who are using technology in innovative ways to push the boundaries of creative expression. We seek to inspire new and emerging artists by showcasing the infinite possibilities presented by the advancement of modern technology. The Creators Project is proud to have showcased more than 500 artists from all around the world. In 2013, The Creators Project solidifies its position as an unparalleled online arts channel with a slate of original documentaries that offers a look inside the minds of some of today’s most innovative artists in music, film, art and design, fashion and gaming – and introduces artists whose works are inspired and enabled by new technologies. In addition, The Creators Project features a slate of original artwork commissions, a music video series, featuring household and emerging names, tech-focused tutorials, and deep-reaching collaborations between Intel Labs and high profile artists within the program. With a growing global distribution network, The Creators Project is quickly becoming the premier arts, technology and culture channel featuring cutting-edge artworks and high quality content sought out by fans and artists alike. We invite you to get involved. Experience. Inspire. Innovate. 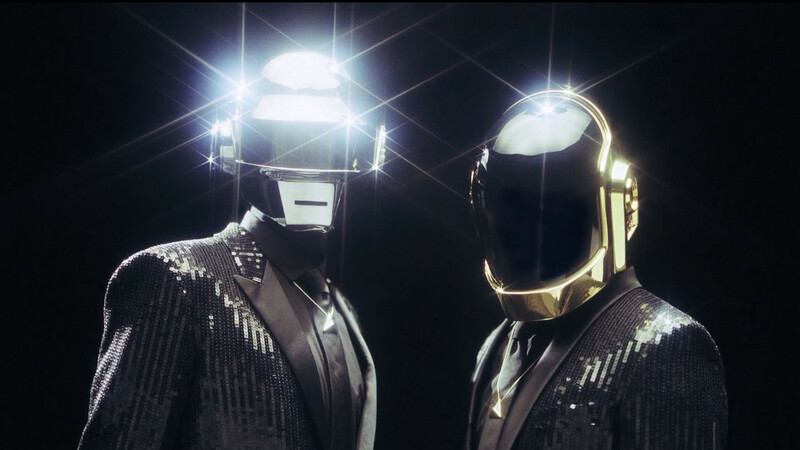 Their biggest undertaking is centered around Daft Punk’s long awaited new album, “Random Access Memories”. Each episode chronicles a different collaborator and brings us closer to understanding what promises to be one of the most groundbreaking albums in EDM history! With these groundbreaking videos you will get to understand the incredible dynamics behind what electronic music is and everything that influenced the creation of Daft Punk’s “Random Access Memories”. Here we present to you every episode released so far! No, you aren’t dreaming. It’s official. 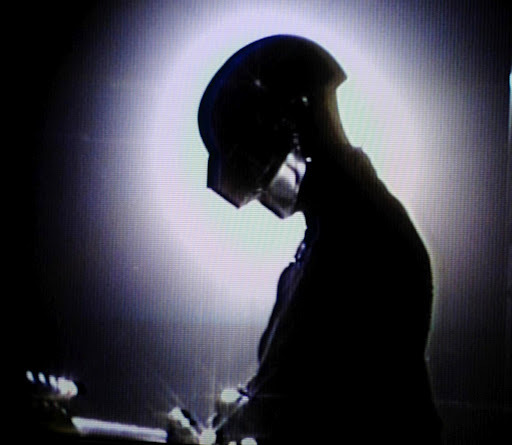 The gods of electronic music, Daft Punk, have officially returned, with the launch of the lead single, Get Lucky. And they haven’t been funkier. Embracing the Disco influences to the fullest we’ve seen in any Electronic artist, the robotic French duo have finally broken a 8 year (not counting Tron: legacy Soundtrack) wait for new material. 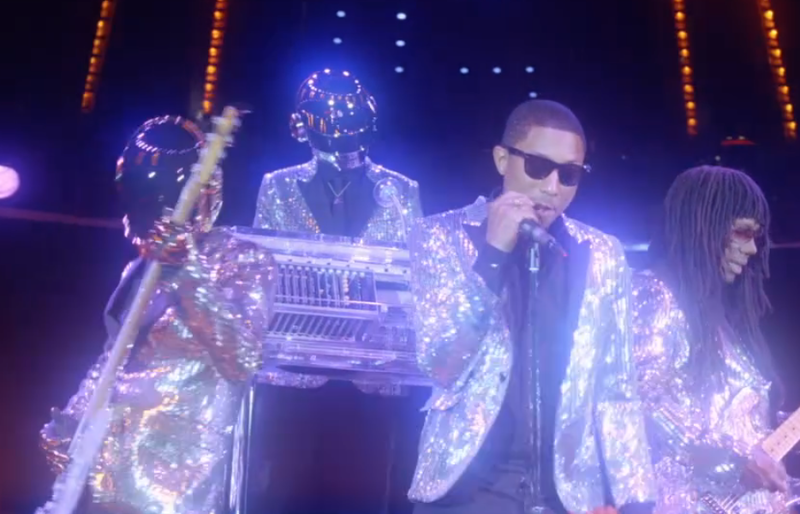 Enlisting the vocals of Pharrell and the contribution of Nile Rogers, legends both, Daft Punk has delivered successfully what is, without a doubt, the Summer tune of 2013, and probably the decade. A funky Disco-esque tune that combined with the vocals of Pharrell and the producing expertise of Daft Punk, has literally transcended what electronic music is. Going back to the roots of electronic music and using analog equipment and real instruments to produce their music, Daft Punk has clearly demonstrated how music is supposed to be done. Artists, producers, Djs, take note boys and girls, this is how it’s done. Make way for the masters of Funk, 2013 is owned by Daft Punk. Let’s get something out the way, this album is HUGE. Major Lazer is Diplo’s favorite project and has really surpassed any other endeavor he has gone on in the past. This album, even though rittled with guest producers and having Jillionaire and Walshy as team mates is Diplo’s brainchild. The production in Free the Universe is definitely a lot more focused than in Guns Don’t Kill People… Lazer’s Do. With subtle hints splashed throughout all the production, each track feels like the musical philosophy it refers to, with that modern dance polish. Talking about musical philosophies, Diplo returns as a world music ambassador. Dancehall, reggae and many more island and South American dance music styles are well represented through Free the Universe. From “Get Free” with its reggae dub licks, to “Jah No Partial” which is a love letter to dubstep’s roots in reggae dub facilitated by Flux Pavilion’s contribution. The drum work in Free the Universe is as tight as ever. Very polished, clean and easy to get hooked on. The collaboration’s in Free the Universe are maybe this album’s weak point. As ambitious as this album is, it’s dancehall approach is brought to glory by serious genre legends like Elephant Man, Beenie Man and Shaggy, but is brought down by out of place indie and mainstream stars like Tyga, Bruno Mars, Ezra Koeing and Amber Coffman. Each track tries to bring out the most in every voice, which in the end creates a very nice sounding cacophony, but a cacophony in the end. Free the Universe does not work well as an album, and sounds like a collection of best hits. In a nutshell, almost every song in this album would belong in a very different playlist in your iphone. Diplo’s ambition has never been truer, better produced, danceable and unorganized as in Free the Universe. Ladies and Gentlemen, it is here, ready to be Pre-ordered through iTunes. Daft Punk has finally released the name of their upcoming fourth album, entitled Random Access Memories. The album is set to be released on May 21st through Colombia Records, and as mentioned above, can be Pre-Ordered through iTunes for 11.99. The album contains 13 tracks, yet as of now none of the names have been released. Bellow you will find the link to verify the God’s return.